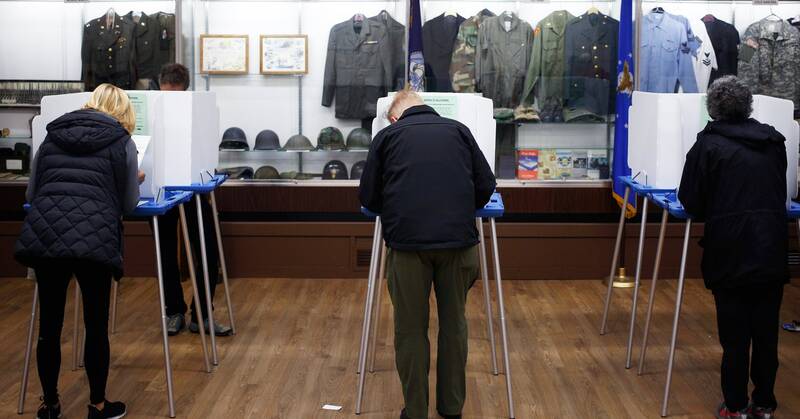 In a survey that the center disseminated across the country this winter, 121 election officials in 31 states said they need to upgrade their voting machines before 2020—but only about a third of them have enough money to do so. That’s a considerable threat to election security given that 40 states are using machines that are at least a decade old, and 45 states are using equipment that’s not even manufactured anymore. This creates security vulnerabilities that can’t be patched and leads to machines breaking down when the pressure’s on. The faultier these machines are, the more voters are potentially disenfranchised by prohibitively long lines on election day. This is hardly the first time researchers are sounding the alarm about the country’s decaying voting technology. It’s not even the first time the Brennan Center has done it. Researchers there published a scathing report on the country’s ailing voting infrastructure in 2015. “The majority of systems in use today are either perilously close to or past their expected lifespans,” they wrote at the time. An updated survey released a year ago contained similar findings. Since then, Congress has given states a $380 million cash infusion to update their voting systems through the Help America Vote Act. That money has gone to good use, says Lawrence Norden, deputy director of the Brennan Center’s Democracy Program, who coauthored the report. States have spent about two-thirds of it on cybersecurity upgrades, machine replacements, and post-election audits—all desperately needed steps, election security experts say. “The fight over paper versus paperless seems to be pretty much over,” Norden says. Still, not all new equipment is created equal. Even states that are already moving to paper ballots, including Georgia and Delaware, are investing in machines that security researchers say remain vulnerable to hacking. Awareness about these issues appears to be growing, but implementation is a different story. Actually making these improvements will require money, and lots of it. During a House Appropriations Subcommittee hearing last week, Alex Halderman, a professor of computer science and engineering at the University of Michigan, estimated that to give states even half the money they need to replace their DRE machines, Congress would need to set aside $900 million more. To ensure these machines are fully functional by 2020, Norden says, states need to get that money sometime this year. “Most election officials will tell you they don’t want to have to try out new equipment in a presidential year,” he says. The Brennan Center’s report doesn’t tell the full story of what’s happening in every jurisdiction in America. Norden says they sent the survey to thousands of election officials and received about 900 responses in return. It may be that the survey, bleak as it is, paints an even rosier picture of what’s really happening across the country, since, Norden says, many of the jurisdictions that are most in need of an upgrade didn’t respond at all. And yet, even these limited results show just how widespread the issue of outdated voting technology is and just how many states are struggling to find a way to pay for it. It’s also a reminder that the country is running out of time to do something about it.